Location: A deep, narrow river valley cut by the mighty River Sirion just below its source at Eithel Sirion, between the Mountains of Shadow on the west and the highlands of Dorthonion on the east; the westernmost of the three gateways into Beleriand from the North. 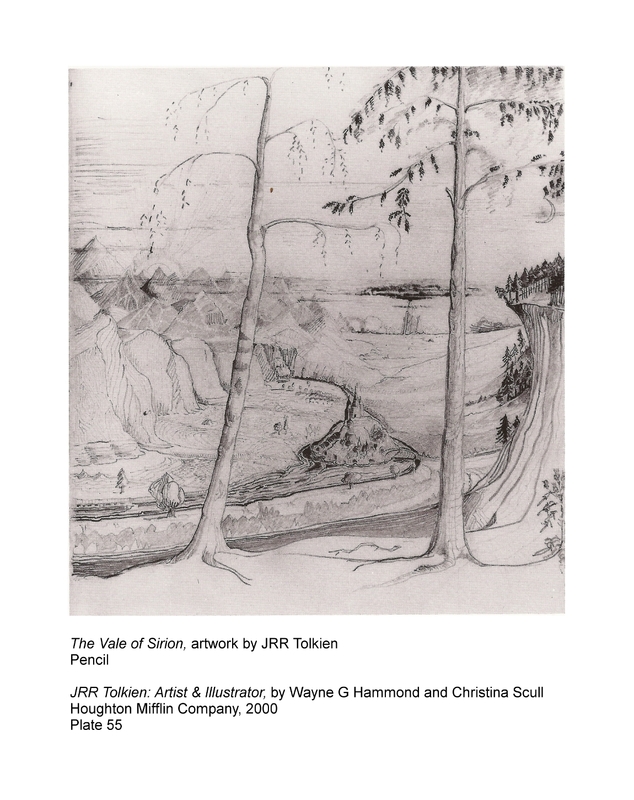 The Vale of Sirion, by JRR Tolkien. 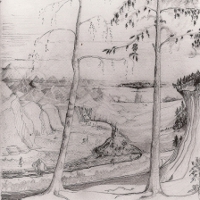 Between Dorthonion and the Shadowy Mountains there was a narrow vale, whose sheer walls were clad with pines; but the vale itself was green, for the River Sirion flowed through it, hastening towards Beleriand. [The] mighty river Sirion... rose at Eithel Sirion and skirted the edge of Ard-galen ere he plunged through the pass, becoming ever fuller with the streams of the mountains. Because of its strategic position, the Pass of Sirion is mentioned in accounts of several battles and minor actions. [Though Morgoth] held Dorthonion and the Pass of Sirion, the Eldar recovering from their first dismay began now to regain what they had lost. [Beren] rode northward again with all speed to the Pass of Sirion, and coming to the skirts of Taur-nu-Fuin he looked out across the waste of Anfauglith and saw afar the peaks of Thangorodrim. Turgon... retreated towards the Pass of Sirion; and his captains Ecthelion and Glorfindel guarded the flanks to right and left, so that none of the enemy should pass them by. 1 This text is from one of Tolkien's early drafts; the name is an earlier version of the proper name as published in The Silmarillion.